today, you will notice it has a new hue: Webpass green. 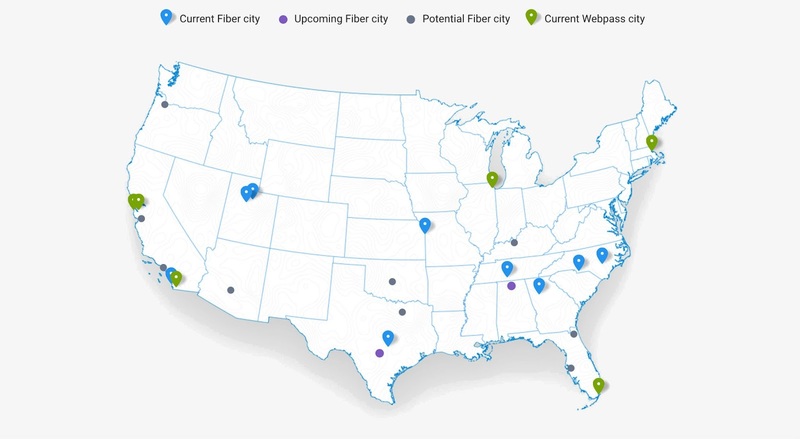 Since we announced that Webpass is part of the Google Fiber family last year, we’ve been working together in the cities both Webpass and Google Fiber share: Chicago, San Diego and San Francisco. Webpass has been offering superfast Internet service — up to a gigabit per second — in these cities for some time, and has the full support of Google Fiber to continue doing so going forward. Customers in six metro areas — now marked by a green pin — may be eligible to use Webpass if their building has at least 10 units, and is wired with Ethernet cabling. Copper Ethernet wiring can allow for blazing gigabit speeds, making them an affordable alternative for building owners to install vs. coaxial cable or even fiber. Check with your landlord or property manager to see if you’re eligible to get up and surf with Webpass today. When you go to the Google Fiber map today, you will notice it has a new hue: Webpass green.